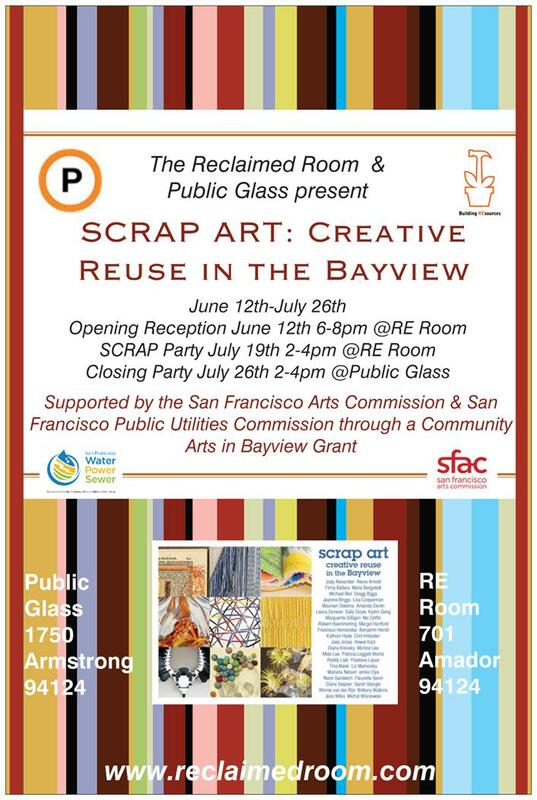 This entry was posted in Building REsources, Reclaimed Room Exhibits, recycled art and tagged Building REsources, Deborah Monk, ecology, Jenny Morningstar, juried show, Nate Watson, Public Glass, recology, San Francisco Arts Commission, San Francisco Public Utilities Commission, scrap art. bay view, Soumyaa Behrens. Bookmark the permalink.